WordPress is the most popular blogging script and comprise as backbone of majority of websites online. As blogs grow, readers community follows. Our blogs start receiving tons of comments. Many of them are also often spam. If you receive lots of spam on wordpress blog, make sure you’ve activated Askimet plugin successfully. Apart from spam comments, we do receive tons of genuine comments also and managing them becomes really difficult. This is where wp keyboard shortcts come into play. Keyboard shortcuts are not only available for windows applications and softwares. 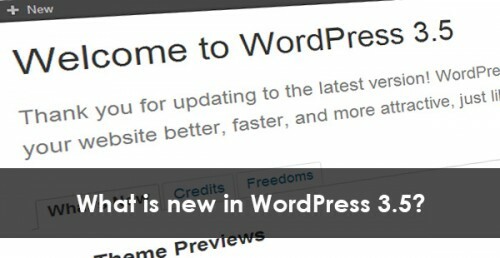 They are also defined for self-hosted wordpress blogs. Happy! Sad! Happy because there are few wordpress keyboard shortcut keys which allow us, bloggers, to execute certain tasks very fastly. Sad because such shortcut keys are just available for comment moderation interface. Yes, we can use pre-defined shortcut keys to moderate comments from inside wordpress admin panel. But before we learn about those shortcut keys for wordpress comment moderation(very helpful if you receive lots of comments daily on your blog), let us first learn how to activate shortcut keys functionality. Unfortunately, the option for this useful feature is present in our user profile page setting in wordpress admin dashboard which we never bother to look into unless explicitly required. Just log into wordpress admin panel. Hover your mouse over users option in the left sidebar and choose Your Profile. Tick the box marked – Enable Keyboard Shortcuts for comment moderation. Hit on Update Profile button located at the bottom of the page. Now go to Comments by hitting on Comments option in wordpress admin panel and start using shortcut keys to moderate comments, approve them, delete them or mark them as spam if as so. Q To quickly edited the currently selected comment inline. Shift+a/s/d/u/t/z (shift+ any one of the given alphabet) For bulk actions to approve, mark as spam, delete, unapprove, trash, restore from trash – respectively. There are third-party wordpress plugins like Easy Keyboard Shortcut Navigation, etc available to extend keyboard shortcut functionality to include more functions but we’ve not tested them. If you want to define custom keyboard shortcuts for front-end of your wp blog for your visitors so that they could navigate easily to various sections of your website using keyboard, you may use quicKeys wp plugin (I haven’t tested it personally but as per the description, it looks promising). I hope this helped you. Don’t forget check out related posts below to redefine your blogging life!